Delta-Search is Search and Toolbar service provider. Delta search holds great rank in top sites at near about with Rank 45. But sometimes it automatically gets installed in our browser, and becomes one of the most annoying part of the browser. If something like this has also happened with you, then you can follow this article to remove this irritating part from your browser. 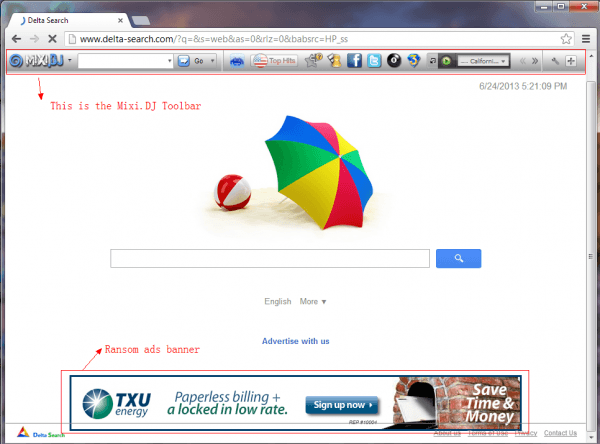 Below are some steps to Remove Delta Search Toolbar from Mozilla and Google Chrome. Firstly you have to uninstall its toolbar from your pc or laptop. Because before remove will not be able to remove it from homepage also. So uninstall toolbar first. Then Find Delta Toolbar or something related to delta and uninstall it. Now Find Delta Search and uninstall it. Now select On Startup Option and select Open Specific page option. Now Click on Set Pages and Add the URL of your Homepage which you want on browser startup. Now you will be able to remove Delta search toolbar from your browser successfully Otherwise your also follow steps mention on info page of delta search about uninstalling it from different browsers. How to make google chrome faster?